Detour (Beautiful Biker MC Romance Series) ($0.99) by DD Prince: Ella goes from a boring life being the responsible one to taking the ride of her life when beautiful biker Deacon Valentine sets his sights on her. Take the ride to happily ever after with this hot, alpha, dirty-talking biker. Suspense. Laughter. Feels. A bit of darkness. And a cast of secondary characters who get their own books, too. The King’s Executioner (Pict King Series Book 1) ($2.99) by Donna Fletcher: The King’s executioner. The future queen. A forbidden love. The King’s executioner is feared by all, and rightfully so. He is sent to collect the future Queen and deliver her to the King, but from the moment he meets Anin, he knows that will prove more difficult than he thought in more ways than one, for someone wants her dead. Finding Cupid (Almost a Billionaire Book 2) ($0.99) by Bridget E. Baker: Event planner Geo loves rules because they keep her safe. That’s why she never plans weddings, and never ever dates. At all. Billionaire venture capitalist Trig never follows the rules. After all, winners do whatever it takes. These two opposites definitely attract, but can they make it stick? Or will their differences tear them apart? The Hazardous Gamble of the Alluring Duchess ($0.99) by Hanna Hamilton: Forced to flee because of an arranged marriage to a deplorable man, Lady Dahlia comes under the protection of the impoverished Duke of Shelthom, Roger Kingman. With a suspicious fire breakout and a ghostly island shrouded in mist, Dahlia and Roger must employ every ounce of their wit in order to reclaim their lives and rescue Dahlia’s brother. White Locks (The Colorblind Trilogy Book 2) ($1.99) by Rose B. Mashal: After being forced to marry an Arab Crown Prince, Marie struggles to keep up with all of the unfamiliar traditions and tries her best to be the good queen the kingdom needs. With her happiness and maybe even her life on the line, failing is not an option. The Friessens Boxed Set (Books 1-5) ($2.99) by Lorhainne Eckhart: This special boxed set edition includes five Contemporary Romance Books from a big family romance series that fans have fallen in love with. The Reunion (The Friessens #1), The Bloodline (The Friessens #2), The Promise (The Friessens #3), The Business Plan (The Friessens #4), and The Decision (The Friessens #5). Puppet/Master (The Vale Chronicles Book 1) ($2.99) by Joel Abernathy: The world of Teros is full of beautiful, twisted things. Elves who’ve traded their magical birthright for biogenetic enhancements. Shifters who transform into the beasts of legend. Vampires who feed on their human subjects with impunity and enforce their rule with servants honed into deadly creatures of destruction—and seduction. None is rarer than the chimera, a special class of human and a vessel of limitless power for any lover strong enough to tame them. 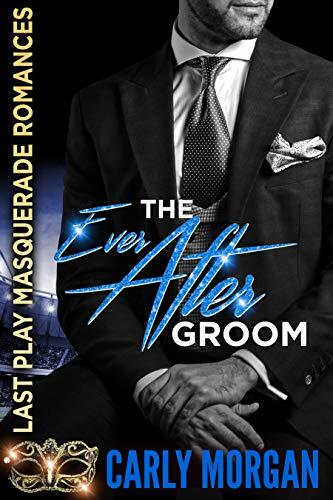 The Ever After Groom ($0.99) by Carly Morgan: A masquerade ball and a misunderstanding lead Nate and Hazel back to a town called Ever After and a romance they thought could never be saved. 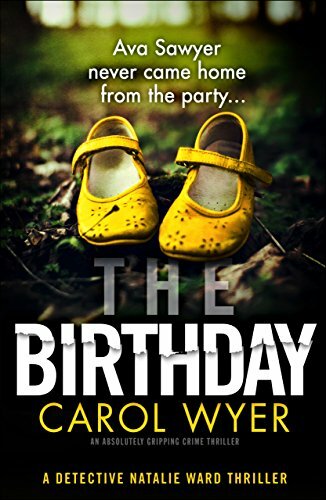 Can they face their past and forgive each other or will they walk away from the only true love they’ve ever known? Muted ($3.99) by L.H. Owens: Outback horseman, Lane Dimity, and New York lawyer, Karen Lawford, are in conflict over the fate of the 1,200 horses held by her company. Their conflict is full of surprising twists, and both are determined to win. Ultimately Karen learns that sometimes you only discover how much you love someone when you lose them. Inspiring and intriguing. Love Me Last ($0.99) by Weston Parker: Another Valentine’s Day… (long sigh). And I am married to my company. Girl boss – Yay!! It’s time to put myself first for once. No more loving me last. It’s my turn. His turn. For a red-hot love affair. “Every good girl deserves a bad boy.” – Weston. The Life We Wanted ($2.99) by Kelsey Kingsley: Sebastian Moore thought he had it all until he discovers he’s the father of a fifteen-year-old boy. Now, with the addition of his son and a new love interest, he finally has the life he’s always wanted. But does he have what it takes to hold on to them?